If a job is worth doing, it is worth doing well. Today I read Sasha Dichter’s post, “Fifty Pounds of Clay” and after a few paragraphs I began thinking how perfectly this fit into fundraising. The post recounts an experiment by a ceramics teacher who told half of his class they would be graded by the sheer weight of the pieces they made – the quantity of their output. The other half would be graded on one object – the quality of their output. Well, come grading time a curious fact emerged: the works of highest quality were all produced by the group being graded for quantity. It seems that while the “quantity” group was busily churning out piles of work and learning from their mistakes, the “quality” group had sat theorizing about perfection, and in the end had little more to show for their efforts than grandiose theories and a pile of dead clay. Sasha went on to make the connection beautifully. He then connected this idea to fundraising. If you were to decide today that you’re a terrible fundraiser (by the way, you’re not) BUT you wanted to become a good fundraiser a year from now, data from the ceramics class would teach us that spending as much time as possible practicing just one those eight component parts (and I’m sure there are more of them and each could be narrower) for two weeks would get you much further along than spending two or three or four weeks reading books on prospecting and getting the first meeting. And here is the challenge, especially when working in the major gifts area … whether you are getting started in the fundraising profession, or are the “new” fundraiser at your charity, or are unsure that the donor will want to meet you (due to poor call-reporting or donor notes) … there is always the opportunity to experience rejection. However that feeling presents itself to you, it can be uncomfortable. Or even downright scary. The best way to overcome it is by quantity. Doing it again and again. Pick up the phone and ask for the meeting. Secure the meeting and start the discovery (or re-discovery). Then do that again and again. Move forward with confidence (probably the best piece of advice I ever received). And keep going. 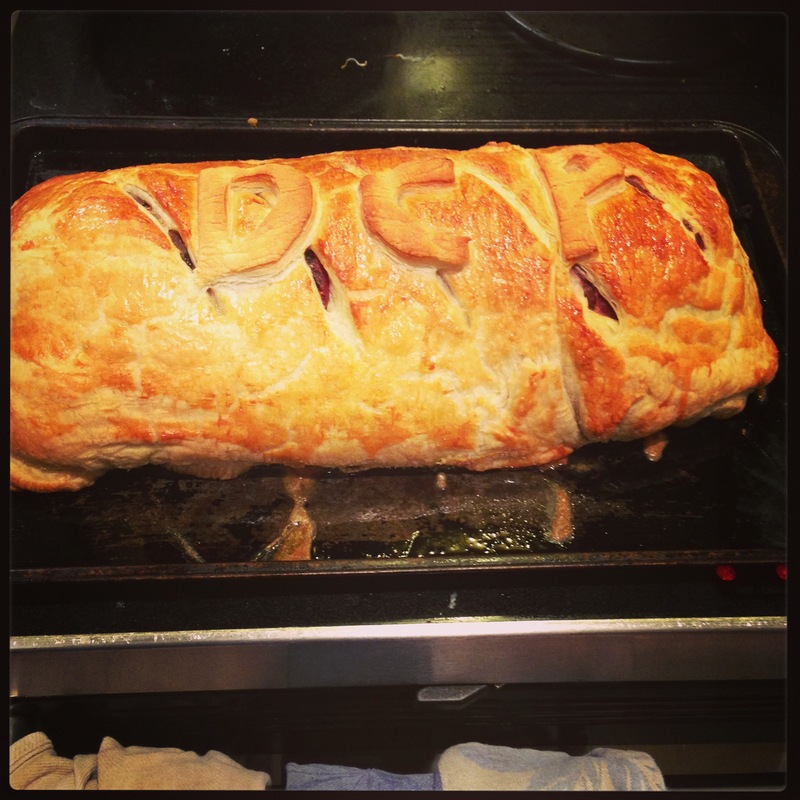 My pretty perfect Beef Wellington, made at the DrunkChef Party in May. That old saying of “practice makes perfect” was right after all! 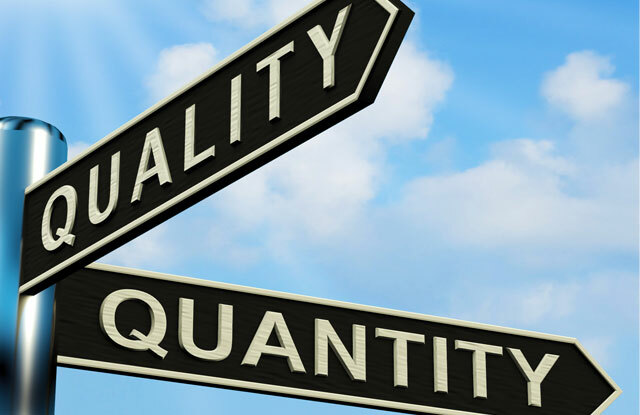 So in whatever area you wish to become accomplished – fundraising or something else – begin with quantity because quality will follow. I love this post! It’s so good to be reminded to “try and try again” and that there is something to the “10,000 hour rule.” And this goes right along with the notion that the fundraisers who raise the most money are typically the ones who make the most solicitations. Yes, Good point, Mark. Practice may not make perfect, but it prepares us for the unexpected… Which can happen in solicitations. Glad you enjoyed it!